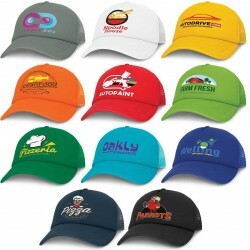 Trucker Hats There are 3 products. Premium structured five panel cap which is manufactured from heavy brushed cotton with a trucker style breathable mesh back. 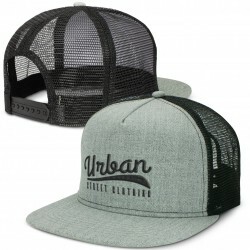 It has a trendy flat peak with a matching button. 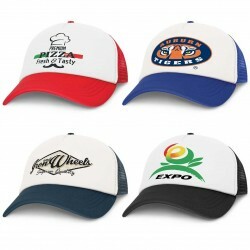 Other features include a sweat band and an adjustable snap back closure that allows one size to fit most people.